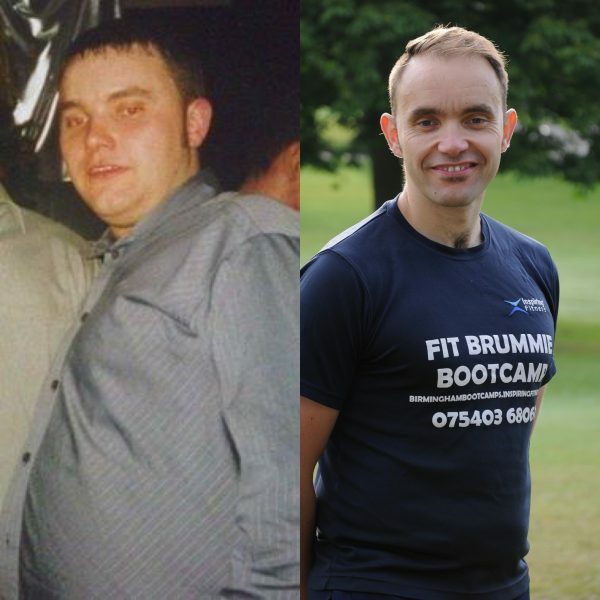 Hi I’m John Hill, personal trainer, weight loss coach and ex fat bloke. Are you sick of losing weight just to gain it all back again? Have you tried EVERYTHING to lose weight but keep failing? Are you sick of not being able to wear what you want? If this sounds like you, then I can solve your problems. If you are looking for amazing results with simple yet really effective tactics from someone that has been and there & done it, then I could be the trainer for you. Please fill out your details above and we can arrange a call to see if I can help you end the confusion and disappointment and actually lose weight and keep it off. What makes me different? Well I have done it myself for starters. I have successfully lost and kept off 5 stone and kept it off since 2005. Please watch the videos above for further endorsement from people that I helped in the past. My personal training support includes tailored fitness and weight loss support in a 1-1 setting. If you are like most people who struggle to get fit and lose weight, then you probably have lost motivation or things have just got in the way. The good news is that I offer the only complete fitness, health and weight loss service in Halesowen and surrounding areas. You don’t have to go to or join a gym. You don’t have to join a slimming group. Hey, if you don’t want to exercise straight away, the good news is that, you DON’T! I have taken all areas of weight loss, health and fitness and brought them together in one exclusive service. If you are looking to get fit, healthy and feel comfortable in your own skin, I can help you. I provide my Mobile Personal Training across Birmingham, Halesowen and surrounding areas. My average session price is £40 for my “guaranteed results in just six weeks” program. Please get in touch and I can discuss and recommend a program for you and we can decide together on the way forward. For more information, please complete the contact form below and I will aim to be in touch within 1 working day to discuss your interest further. John's personal training has been invaluable over the last 2 months. He has a clear, precise and knowledgeable approach that works both the body and the mind. I have achieved a huge amount in this period and it has set me up to improve considerably on my fitness from hereon.